My Blogging Journey: How You Should Use Google Analytics? How You Should Use Google Analytics? Google provides webmasters and analytic's feature which should be used by everyone. It tells you how visitors behave on your website and a lot more. And above all, its free. You might be doing an okay job, if you are not leveraging analytics from search giant. I use it, analyze it and plan for my future goals and steps. From posting frequency to connections to focusing on the design, you can get a lot more inputs if you see it the right way. You can see a graph of your sessions for a desired date range. I have selected the start of moth till today's date. A quick overview shows, the graph is high on start and the end of month. So, we need to dig why the spike on these days. Before that lets understand everything else we can see. Users : In total 169 users visited by blog. Of them some interacted more than once in a day, so the sessions are little higher. It is a low visitor count, need to work on them a lot. Pageviews : Page-view's are okay as each visitor is visiting on average more than 1 page. That means they are exploring my website, but need to improve a lot so they stay longer. Bounce Rate : Bounce rate is when people only views your single page and leaves the site. It is on average, but for me the ideal one should be less than 50 percent. If I do something to let them view more than 1 page, the bounce rate will decrease naturally. On Time Site : On time site is about 1 minute. I am happy with this time, but a lot can be improved. Since my past articles are about 500 words, 1 minute time is justifiable. From now, on I am moving to 1500 words or more quality content. This should improve my on time site. Click on the path "Acquisition" then "All Traffic" then "Channels". You would see four traffic sources. Lets dig them each. 1. Referral : This traffic comes from your links from different websites. Since for me, this the highest number, I need to keep doing my commenting, as most of my referral traffic is from comments on other blogs. So most of them are spam, you shouldn't click on those clicks. My highest referral traffic comes from Quicksprout, so I need to keep commenting over there, rest of my referral traffic is from other sites, a low number though. Now, I know where to spend my most energy on. Remember, you should keep trying new sites to see who send you the most traffic. 2. Direct : This is the kind of traffic, where people either have bookmarked your links, or they remember your blog name and just type it into your url. Since this number is pretty nice, I am happy. This is something, you can't influence much. Just focus on easy design and quality content, people will come directly to your blog. 3. Social : A low number of 6 visits. I should really be focusing on increasing my social circles to leverage the social visits. But, when I click on social link, I got the breakdown from which social websites people were coming in. So 5 visits from twitter is nice as I don't tweet posts from my blog mybirthdaye. 2 visits on Quora is okay, I had only dropped like 2 to 3 links with my answers. And I am not super active, I need to do an experiment to leverage Quora and make my decision. 4. Organic Traffic : As you can see though organic traffic is less in number, only 6 visits, it still has the most on time site. This indicates people who comes with a question to Google are finding my blog helpful. But, since the number of visits is less, I need to keep pushing myself so I get at least 100 of them each day. As you can see from the image above, the 1st interaction occurs mostly from homepage, whereas from others articles very less. 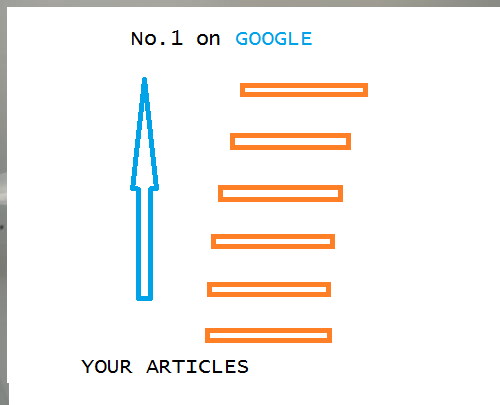 So I need to focus on making people click on more pages from my articles. Maybe like incorporating related posts, interlinking articles. The main goal should be to make at least one interaction after reader lands on your website. My user flow shows, I have a lot to improve upon. Google analytics offers experimenting too. In "Behavior" there is an option "Experiment". You can click on them create experiment for two different urls. So you can analyze which one is performing better and then try to come up with winning article ideas. You might need to insert code in the individual articles. It is easy and with results you can really go a long way. Depending upon how much visitors you have, you can make it a habit to do analysis on weekly or bi-weekly or monthly basis. You analysis should dig down the points where you need to improve and your action plans so you can measure the difference. Export your data so you can keep all the past information in one excel, so it would easy to analysis multiple time range within short time. It will be more clearer to see all different data in one big excel format. You can link Adwords, webmasters, Adsense and I highly recommend doing it. It gives more visibility to you in one single dashboard. A better understanding and thus improved results for your future plans. Google Analytics Course : Google's official course to take your learning journey in analytics. It will help you if you wish to go that extra mile in your learning experience. Google Youtube Center For Analytics : Google's official Youtube Page to learn about Analytics for various reasons. A great resource to look for if you are stuck somewhere. 50 Plus Further Read For Analytics : Kissmetrics blog have compiled 50 plus resources for people from small business to enterprise level. You can go through the list and depending upon your need, jump aboard to that. With more visitors, I would conclude more and then dig into behaviors and demographics too. Google analytics help me to make me better at churning content and my further stategy. How do you take actions based on Analytics?